One of the best features about vaping in general, as opposed to smoking, is the many options for control. There are so many ways traditional smoking traps you in its grasp, holding you hostage, taking all of your abilities to control things, and that just is not cool when you can vape and have nearly every single aspect work in your favor. That is just one of the many reasons so many smokers have switched and prefer the digital age way more than the analog alternative. Want to know how vaping gives you the power in your experience? Keep reading! E-cigs or advanced personal vaporizers? Super high-tech vape pens or basic models? Fancy or toned down? Somewhere in the middle? The choices are mind-blowing! Want pre-filled cartridges or do you want to use e-liquid and tanks? Want ultra powerful nicotine or minimal or none? Want to custom blend your flavors to try things like caramel-apple-tobacco, chocolate banana, or menthol-shisha? Now you can! This is where things get really fun! Do you want a device you can control every aspect of or do you want something that takes all the guesswork out and basically runs the show for you? Do you want a lot of technology or just a little? Vaporizers and e-cigs are made to please every variety of vaper, so don’t settle for something that seems to be mediocre. Vaporizers offer much control. Puff counters, digital screens, tanks you fill yourself, different accessories to work with; these sick devices let you decide what you want, and allow you to fine tune it till you get it right. So, if you think you’re too picky for a vape pen, think again. They were made for people like you! And, you’re probably just the type who’ll like all the extra control features! With our original line of e-cigarettes, you can choose between automatic or manual batteries. Automatic batteries work by just puffing on them for an automatic turn-on. Manual batteries work by turning on with the press of a button, and shut off when it is released. They work a little differently, however manual batteries produce a larger vapor, with a shorter lasting time between charges. Automatic batteries produce a lesser vapor, but last a lot longer through charges. 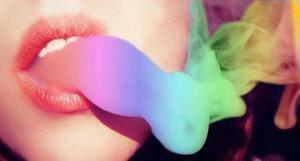 Why let smoke tell you how it’s down any longer when you can have all that you want with vaping? Vapor cigarettes are more popular than ever because getting your way is more fun, more enjoyable, and you never have to feel enslaved to tobacco again! Take control back; vape! Can you take your e-cigarettes with you on vacation?